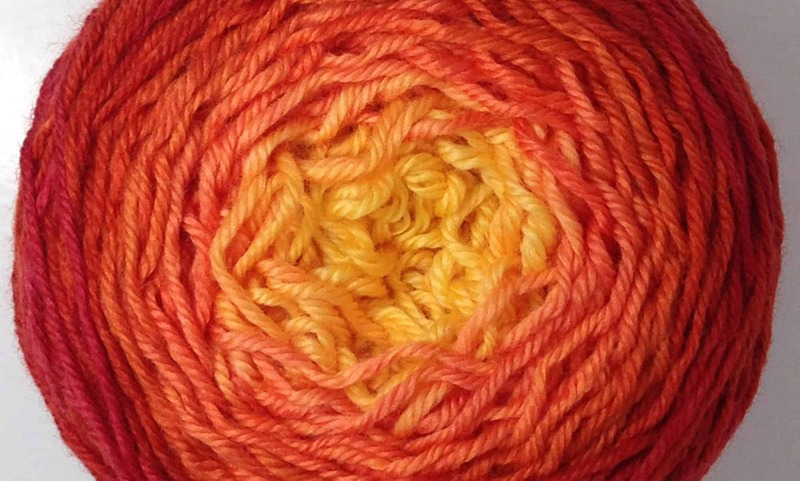 This Fall marks the third year of ModeKnit Yarn’s existence. Shocking. In some ways it feels like we just started last month, in other ways it feels as though we’ve been doing this for five or ten years. We have some new ideas coming down the pike (new ball sizes, new NO SPOILER colorways, new patterns & classes), while we continue to tend to existing projects (mini skeins sets, FLOW, yarn clubs) and handle increasing wholesale orders (so good to hear that shops love our yarn!) It’s been a very good year! The new dye studio is insanely helpful in this portion of our growth, we lucked into an incredibly usable space at just the right time. Kathleen and I have both made major investments into the biz this year in terms of personal purchases which we will be using for the biz (an SUV for Kathleen, a house for me!) We’re not yet a large enough company to buy our own fleet of cars or build a workspace, but we’re getting there – slowly and surely. I spent the weekend sick – I called it a cold – but it just felt like pure exhaustion. I have been pushing myself pretty hard for the past few weeks, finishing a HUGE order and getting the dye studio set up when I wasn’t actively dyeing. Apparently the cold turned into stomach flu, but it feels as if it’s on the wane, and one of the great things about working at ‘home’ is that when I’m feeling good for a few hours, I can scoot out and get a bit done. And there’s always computer work to do, too! It doesn’t do me any good to ignore the fact that I have a chronic condition (Fibromyalgia) so I try to be intelligent in my work habits, take time to care for me (bike rides, physical therapy, acupuncture, rest, etc.) so that my body has the strength to do the work that I love. I realized on Sat that 250 skeins I’d dyed had dried lighter and less intensely than I liked, and will want to re-dip them (not a HUGE undertaking) but the pain of lifting and carrying so much wet yarn to wring out, etc., is the hardest part of my job. Re dyeing – overdyeing – is sometimes necessary. The color we’re going for with these skeins is so deeply saturated that I’ve come to the conclusion that it takes two dips to get it, it’s just something I need to accept and move on. So we make our way – slowly sometimes – and create the colors in the yarn that make us (and hopefully our customers) happy! As with any job, if you don’t find the parts that make your soul sing, you won’t be able to stick with it for long. I love what I do, and in addition to constantly trying to improve our colors and selection of products, my biggest hurdle is trying to improve my own ability to create those products. Becca, hard at work and loving it. Weeks like this, with a HUGE dye job in front of me, I’m so grateful to have an assistant like Becca. She makes this whole thing possible on several levels. So after resting (sleeping!) for most of the weekend, I embark on a new week of dyeing and thinking up new colors, coming up with ideas for new designs and continuing on the never ending task of organizing our new dye space. And I’m so happy and proud to be able to do it with Becca by my side. Another new thing we’ve added in this, our third year, is our Podcast. We’re still finding our feet, putting out episodes in an erratic manner but moving toward a more serious schedule. We do what we can do, but I hope that you’ll find some of the conversations Kathleen and I have been having with knit folks interesting and inspiring! Here’s to more – and more regular – episodes in year FOUR of ModeKnit Yarn!